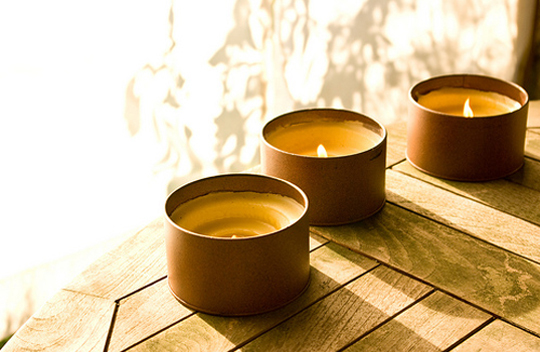 Tightwad stumbled on this fun idea on the Canadian Living site - how to make your own citronella candles! Keep the bugs away and your guests happy when eating outside on a warm summer night. These candles are pretty (ie. not the wasp jacket yellow colour) and what's even better, you know what's in them... real citronella oil. Pick up sweet containers at your local thrift store so they can be a feature of your patio rather than just serve a bug repellent function. Make great hostess gifts when you visit cottage country. Click here for the how to.